Getting Around Manila, the safest way for a tourist. 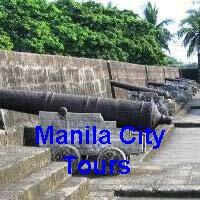 getting around manila is quite simple and despite the negative publicity, Manila is still safe for tourists. Mugging almost never happens in the main streets of Manila. The dangerous streets are mostly the poverty-ridden residential areas and not the ones you will need in getting around Manila and the major business areas, commercial areas and tourist destinations. If you don’t travel in these areas then you should be hassle free and can travel around safely and easily. Before you go out however, there are several things that you must do and remember. First, bring drinking water. This is essential, the Philippines is hot and humid and you will need to hydrate yourself constantly. Although there are vendors selling bottled water, it is best to have your own. The second thing to do is to have loose change in small denominations. This way whatever you choose to buy along the way you will not be faced with the problem of vendors telling you they do not have enough change. You will observe that Manila is the place where there are “brokers” or “callers” for almost anything, like taxi, jeepney, street food and just about anything else you can or can’t think of! If you accept their offer, you will end up paying more, no doubt about it, stay away from them. Lastly, you must remember that almost every Filipino knows how to converse in English, so do not hesitate to ask for information, ask for the amount of the jeepney fare, demand the meter in taxi’s. If you look like you know what you are doing and know where you are going and how to get there then, you will not be duped by anybody. 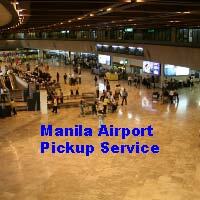 Now you are ready to travel around Manila safely and easily. Getting around Manila is really very easy. If you are not very familiar with the streets, then it is best to take a taxi. The taxis are more expensive than the jeepney and the bus. The MRT and the LRT, on the other hand run across the two main avenues in Manila. One tip for any tourist, as long as you can see the MRT and the LRT you will not get lost in Manila. This is because the LRT runs from Baclaran to Monumento, which is connected to Roxas Blvd or Pasay area, Makati area, Manila area and Kalookan area respectively. Beyond Kalookan are mainly residential and not frequented by tourists. So no matter where in Manila you want to travel, you can take the LRT or simply use it as landmark. On the other side of Manila is the MRT, which runs along EDSA (Ephipanio Delos Santos Ave.). The MRT runs from Taft Avenue to North Avenue in Quezon City. Again here you will also have Roxas Blvd., the Makati Area, Mandaluyong Area, San Juan Area and Quezon City. So with these two trains, you have almost circled the whole of Manila.